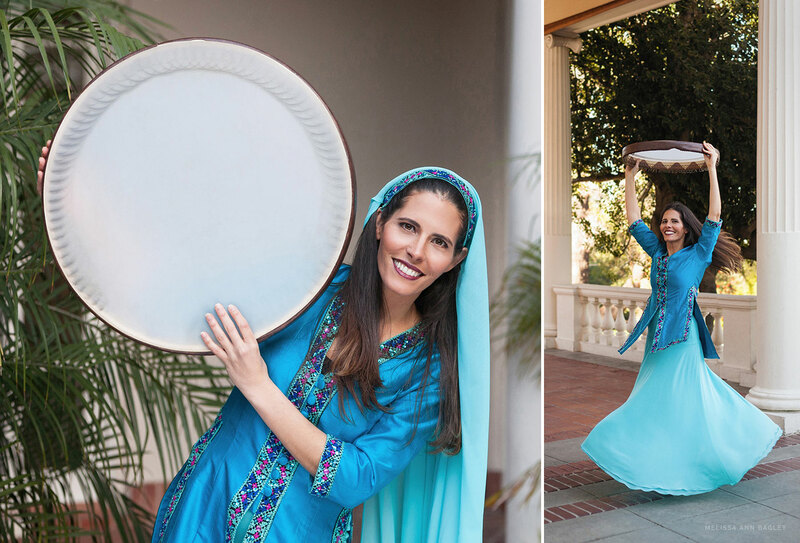 Shadan is a Persian dance instructor and long time performer right here in the San Francisco Bay Area. When she first contacted me, she was in the process of expanding the amount of classes she teaches and updating her website to reflect this. Having taught both the traditional and more contemporary forms of Persian dance, she needed images showing both styles. The images above in the blue outfit are the traditional costume and the white dress images are the more contemporary style. I learn so much from my clients on photoshoots… and Shadan’s shoot was no exception! I learned that the drum she dances with is called a daf and that hand position while dancing is very important. For example – When spinning with your hands held above your head, one hand is open to symbolize receiving a gift and the other is held in a different position to represent giving to others. How beautiful is that? Shadan doesn’t have her new site up yet but as soon as she does, I’ll be sure to link to it. It was a pleasure photographing Shadan and I wish her loads of success in expanding her teaching career!